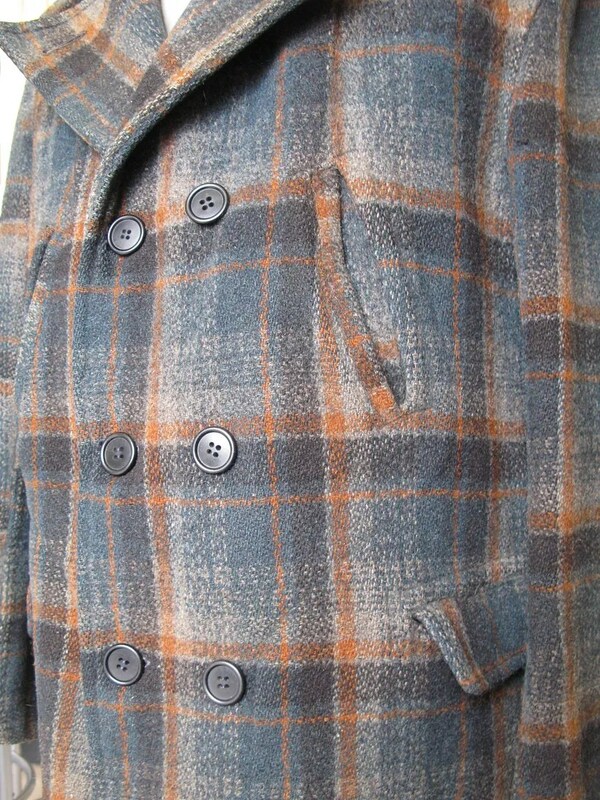 This vintage mackinaw coat was made in the 1930s. 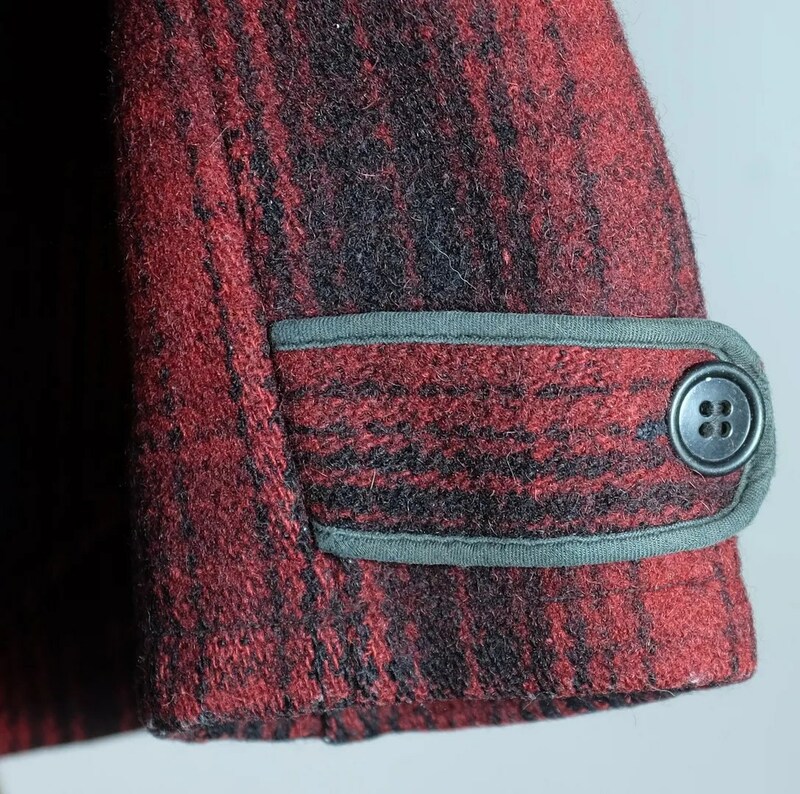 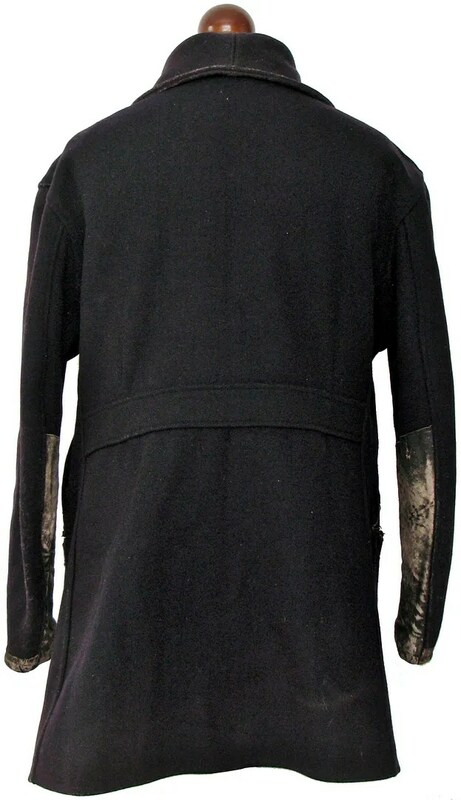 It has a caped front, double layer back and trimmed adjusters on the cuffs. . 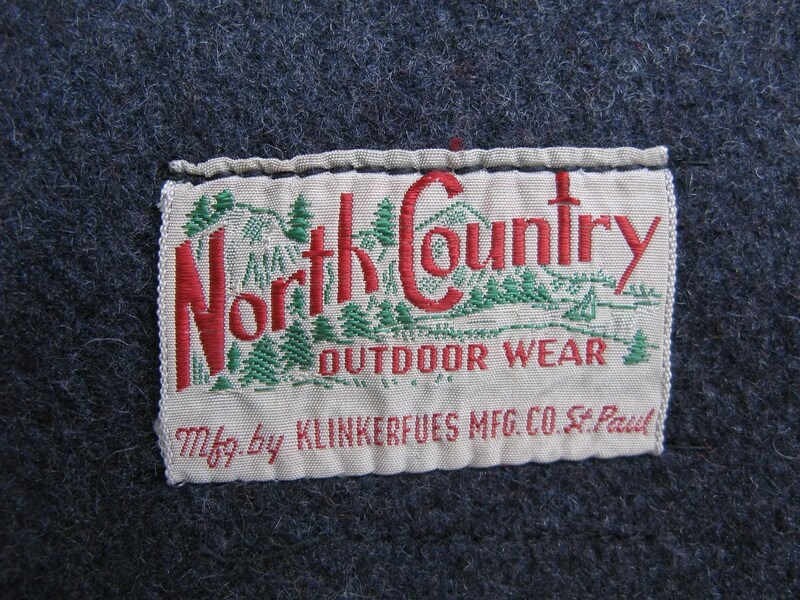 This vintage mackinaw coat was made by the Klinkerfues Manufacturing Company of Saint Paul, Minnesota in the late 1930s under their North Country Outdoor Wear label. 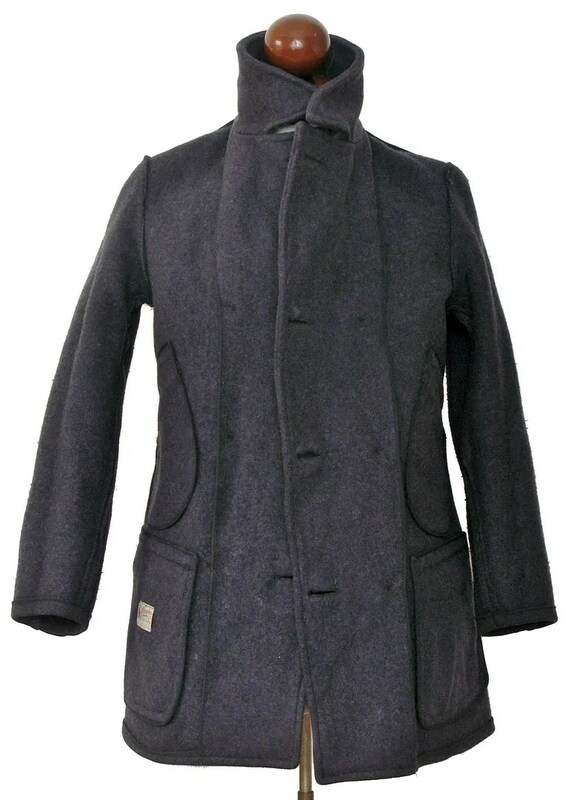 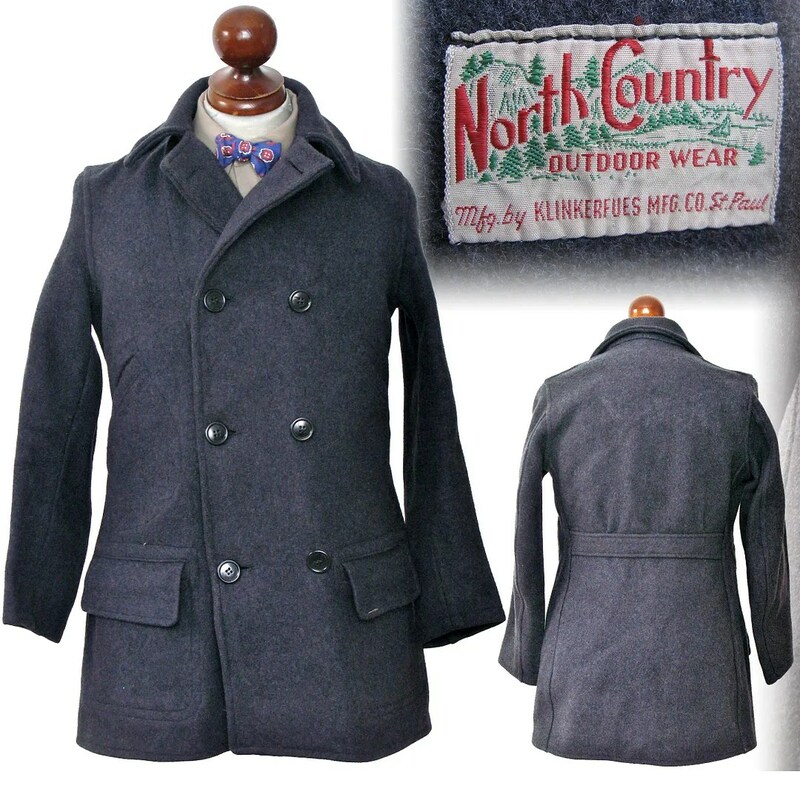 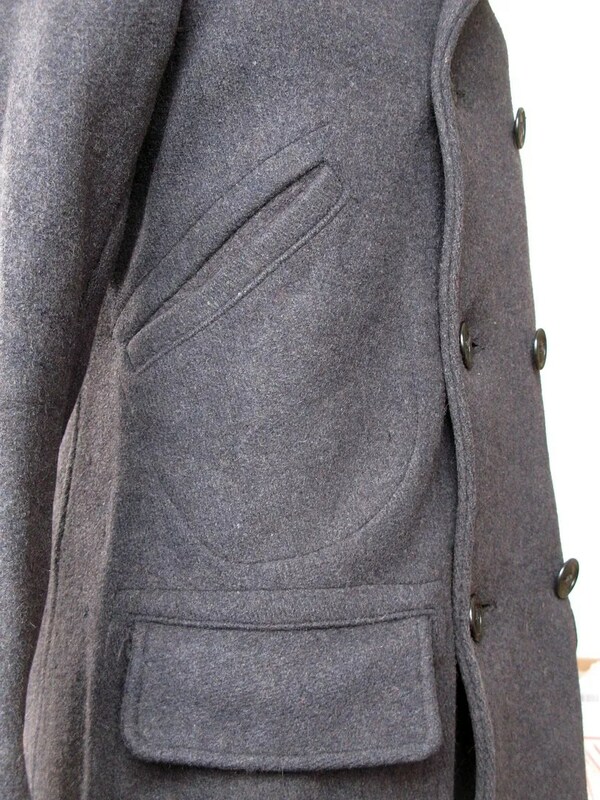 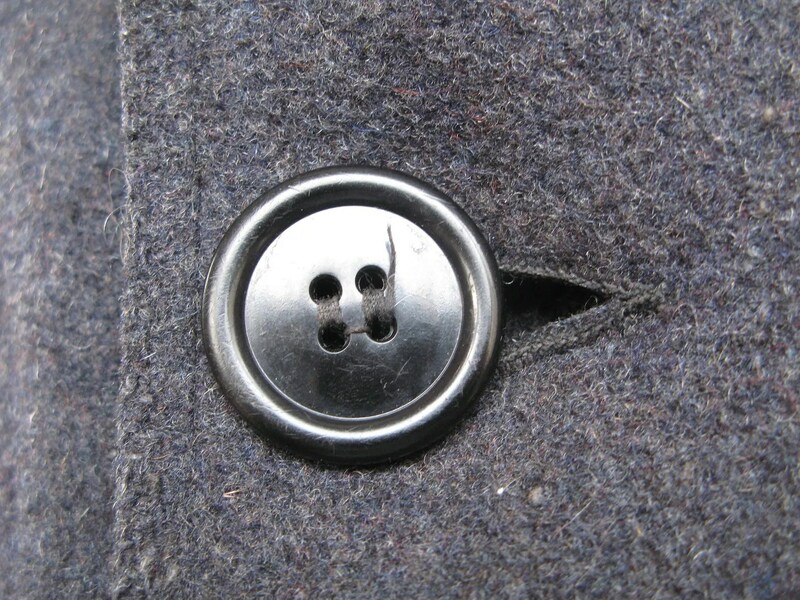 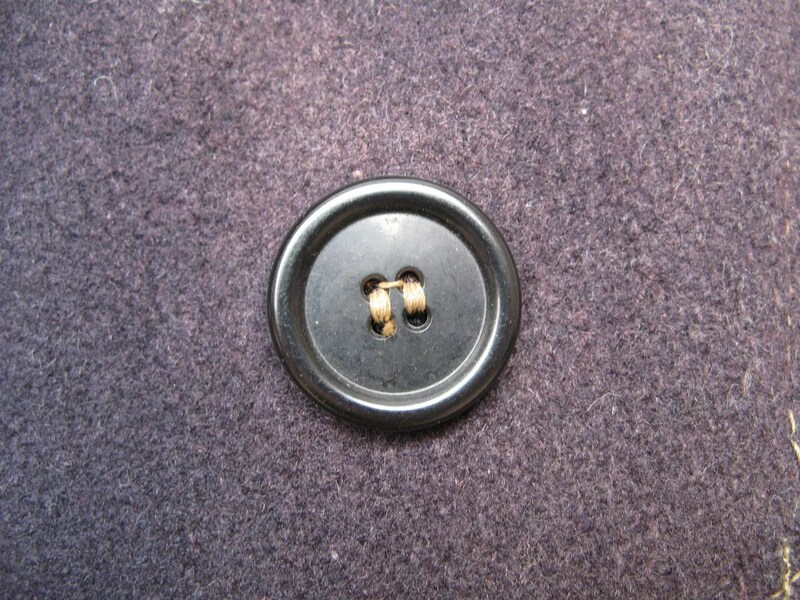 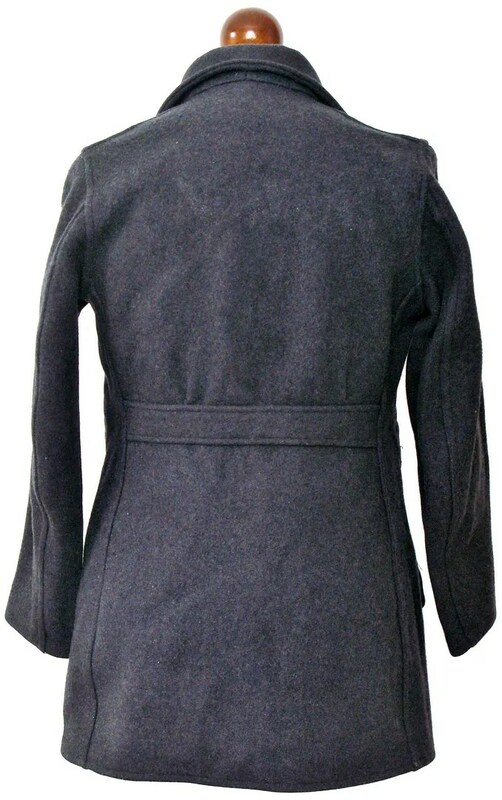 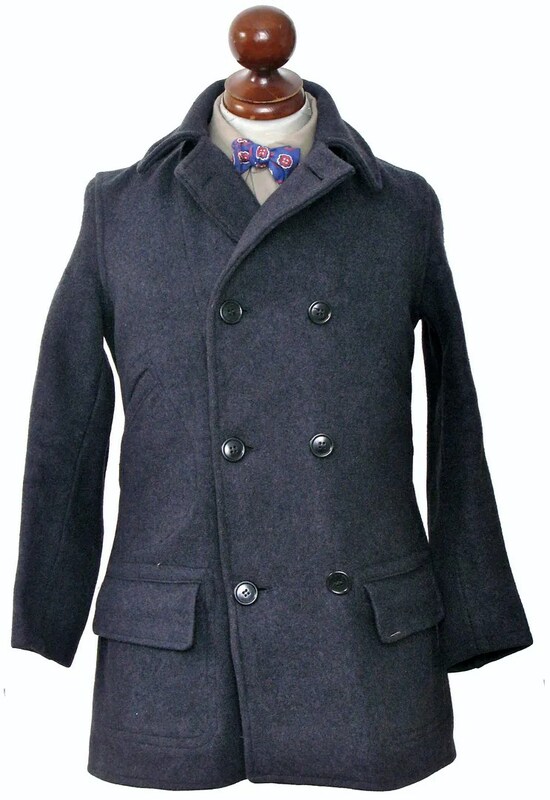 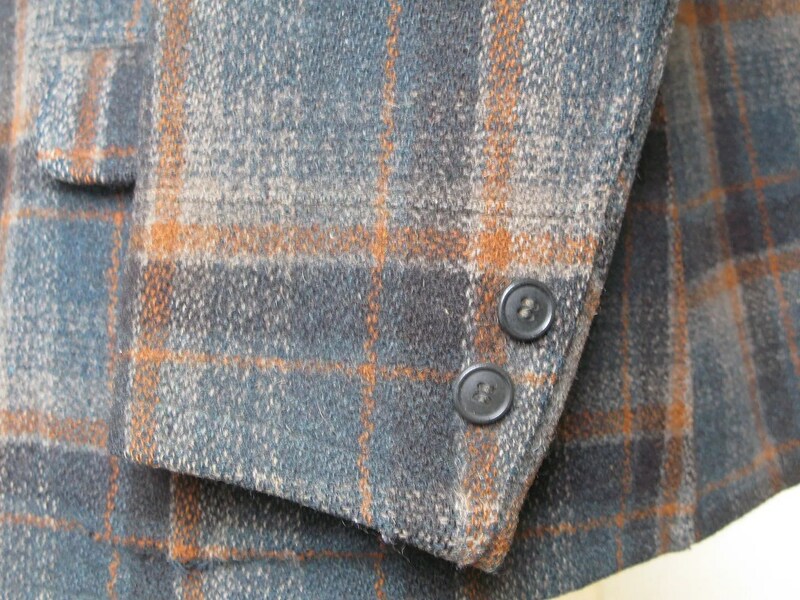 The coat is a dark blue gray mackinaw wool with an eight button front. 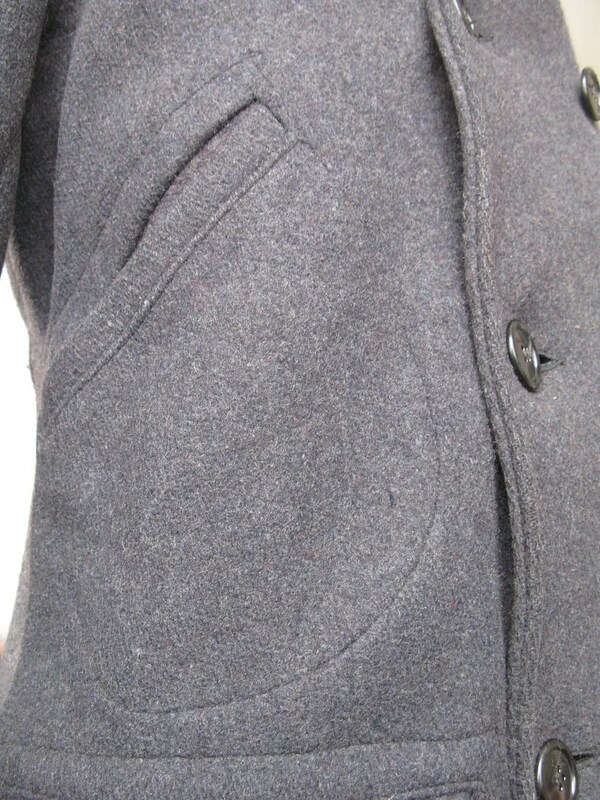 The coat has handwarmer pockets with D-pocket stitching as well as flapped cargo pockets. 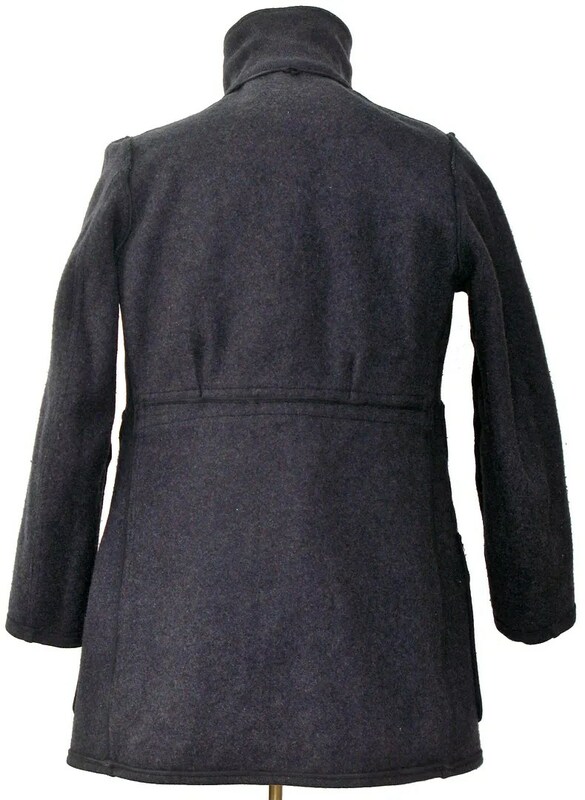 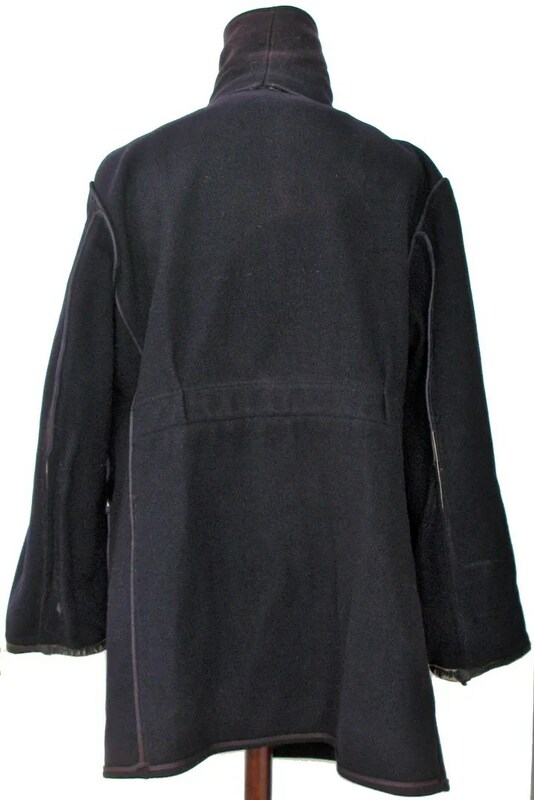 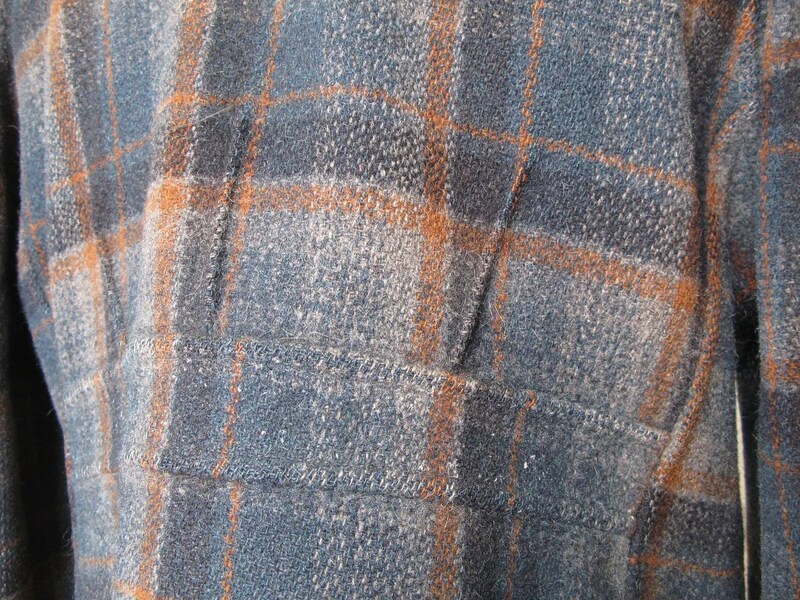 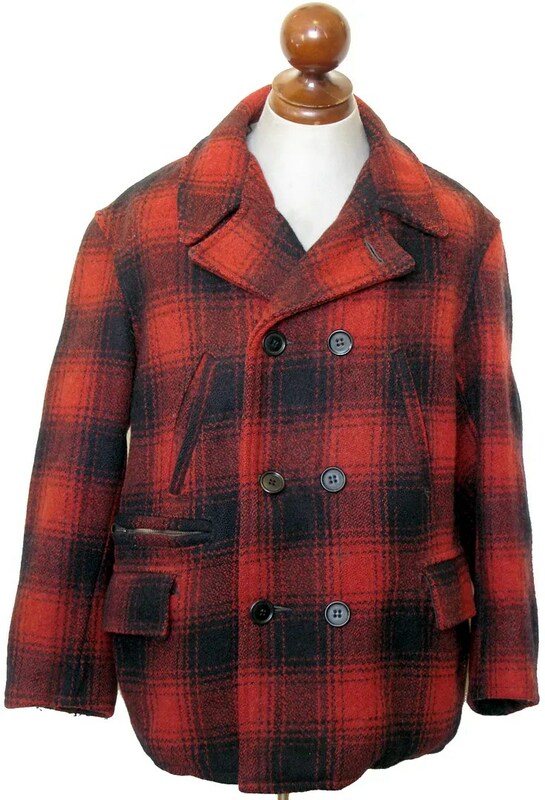 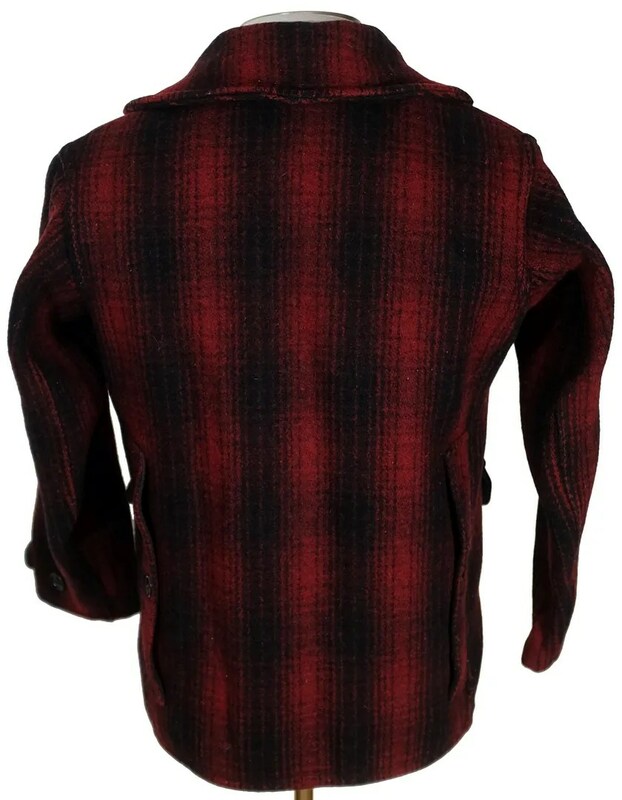 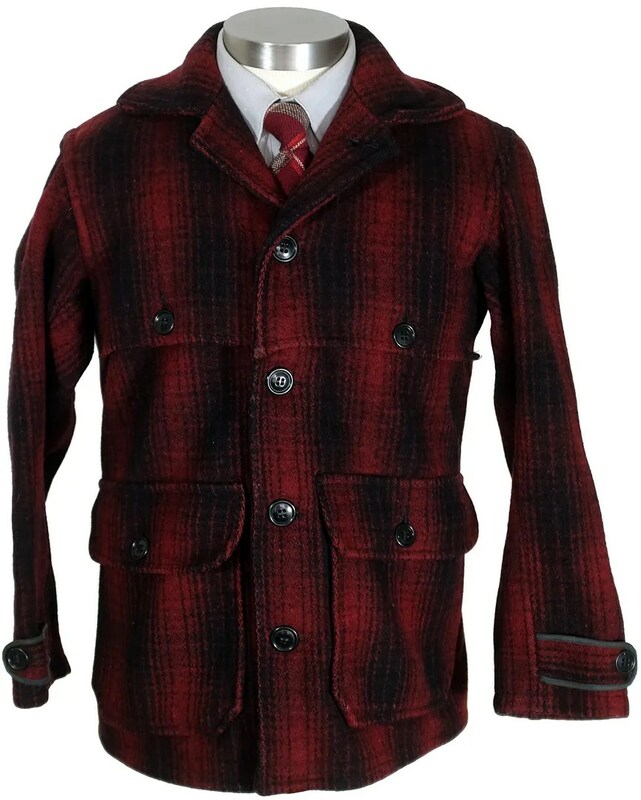 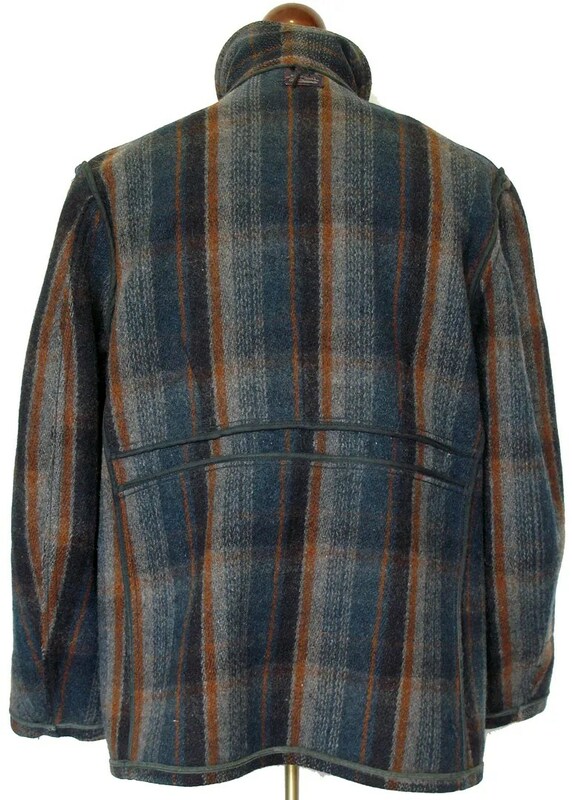 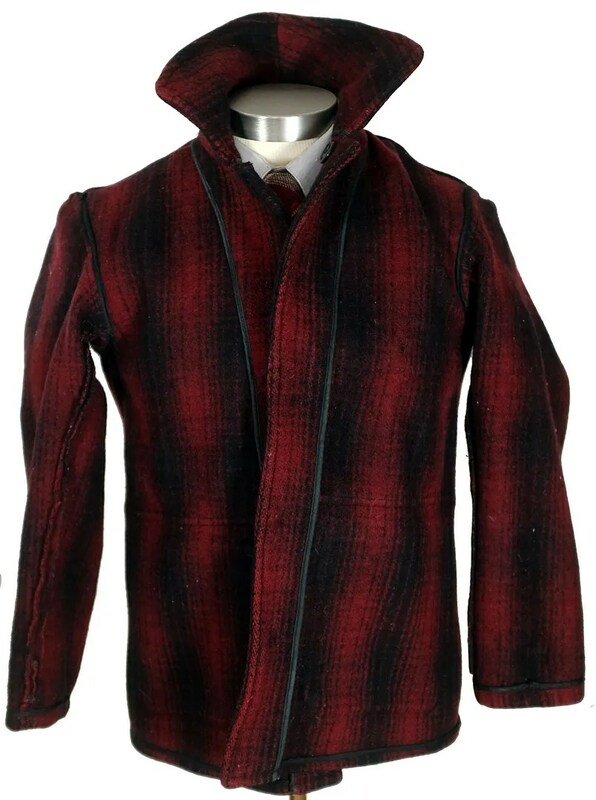 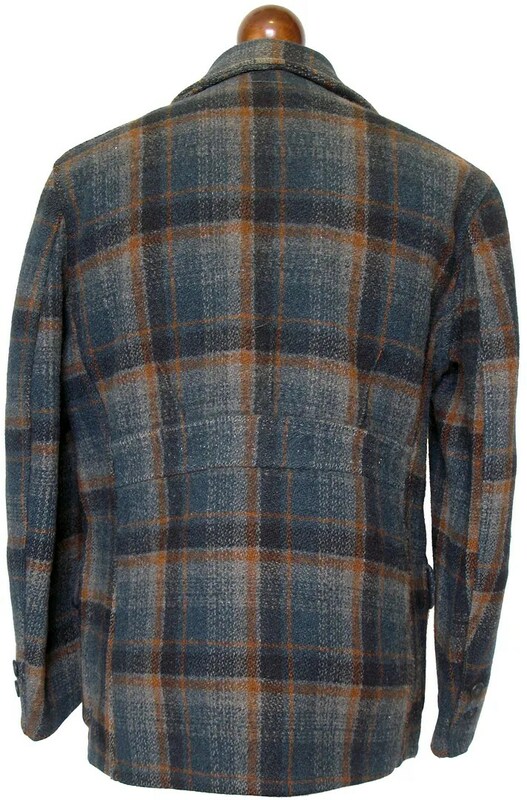 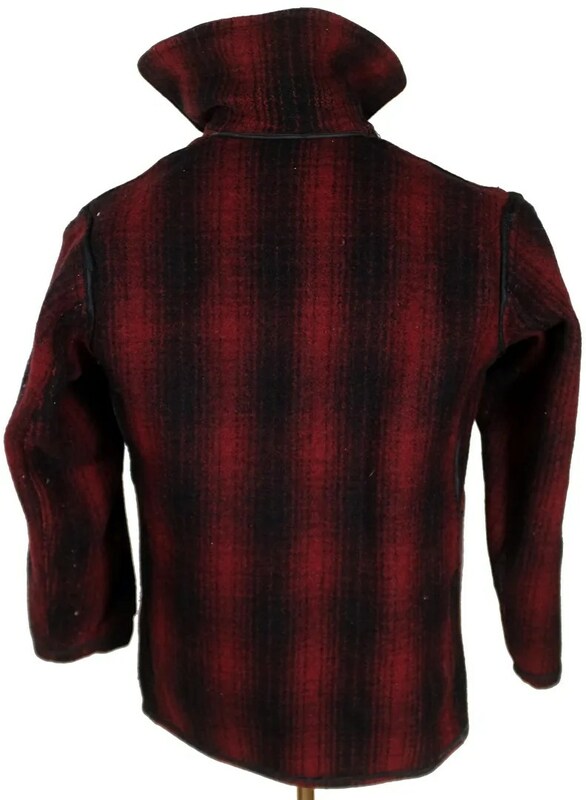 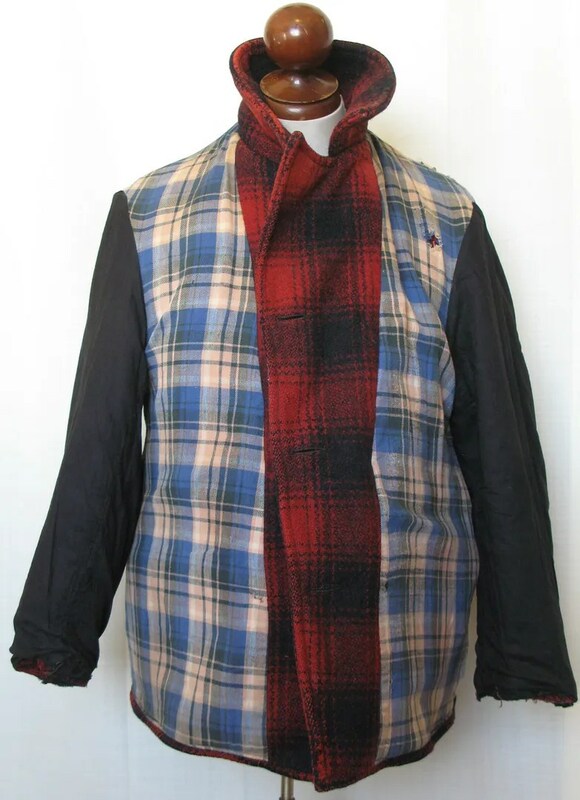 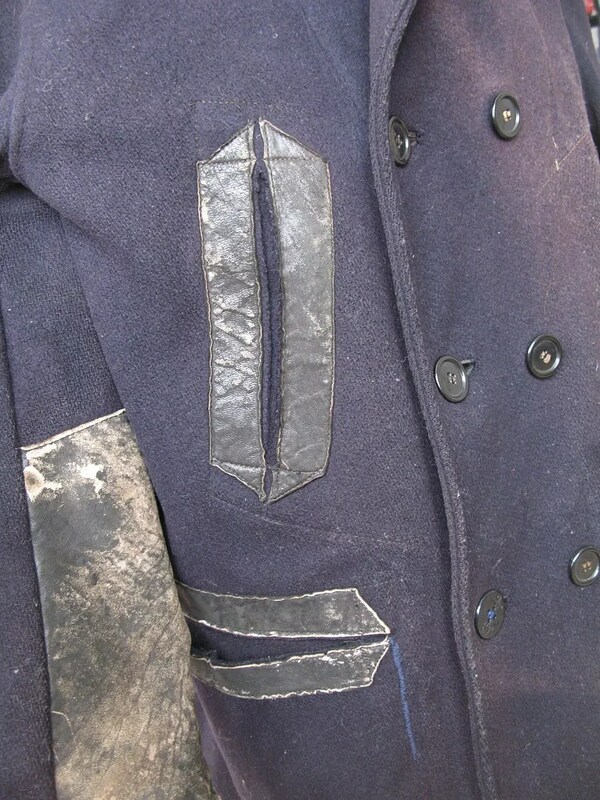 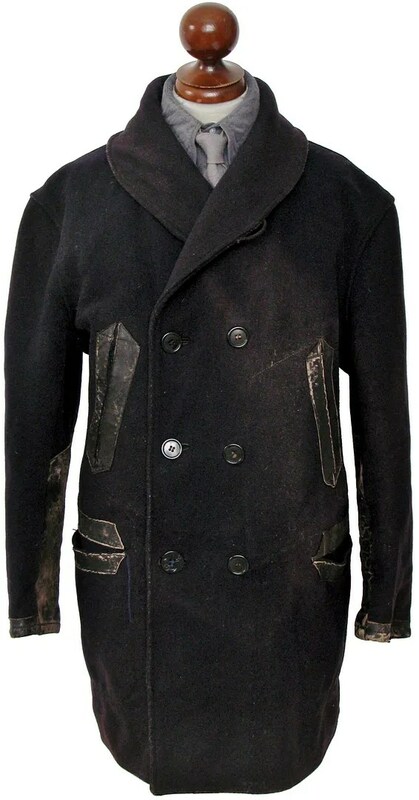 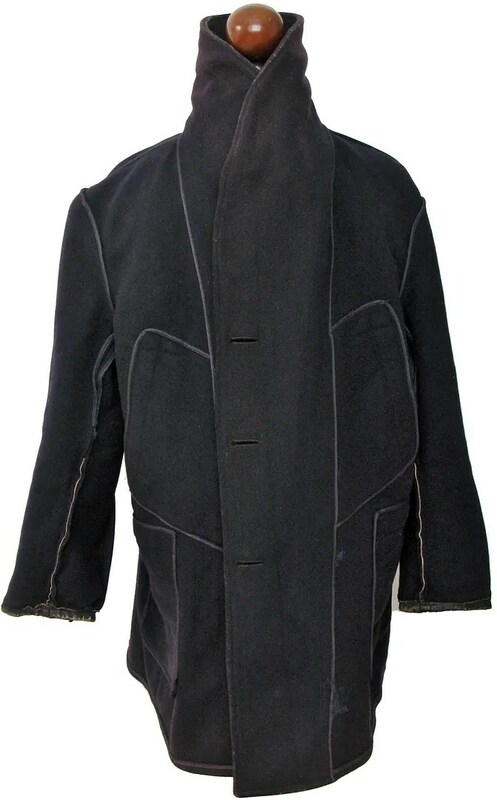 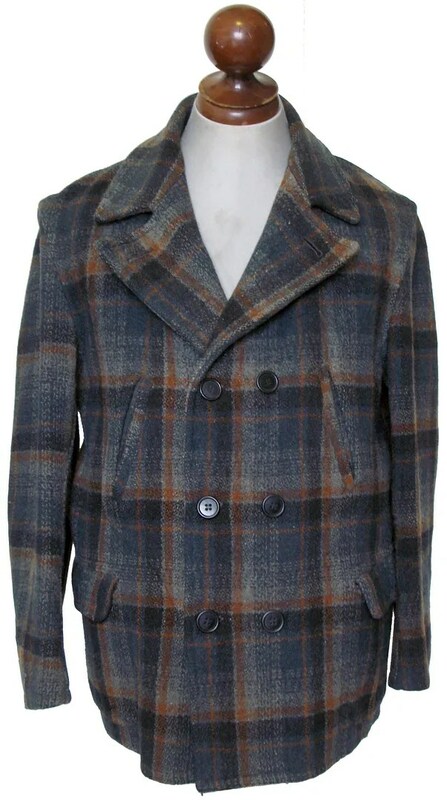 It has a belted back and is unlined, as is typical of these early production mackinaw coats. 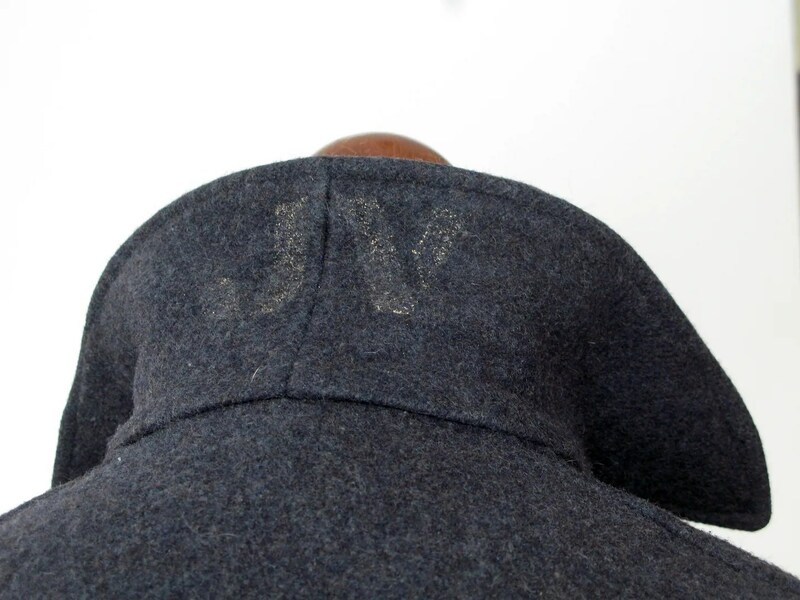 The back of the collar is stamped JV. 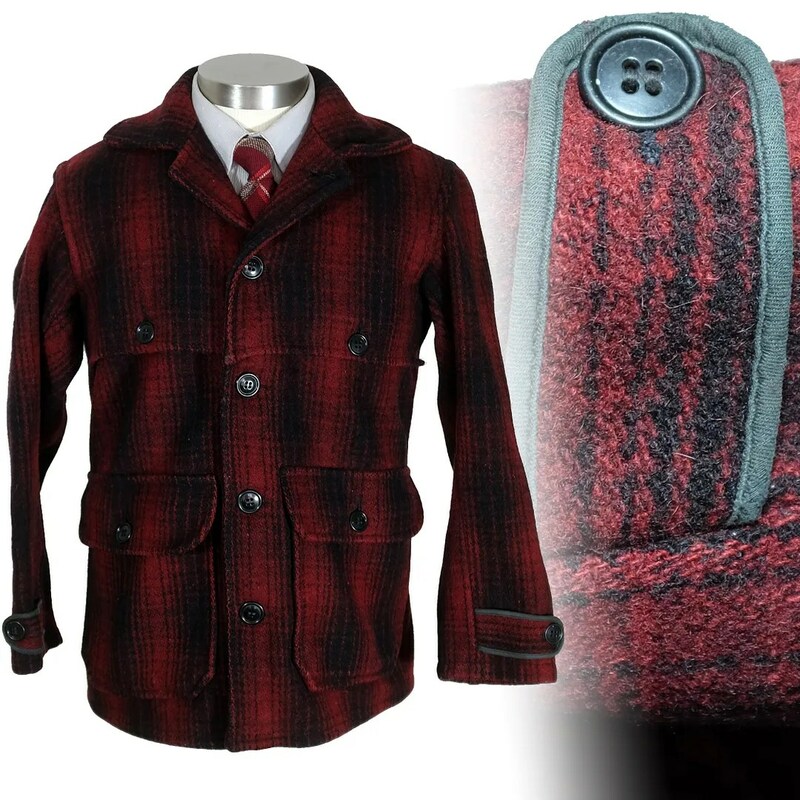 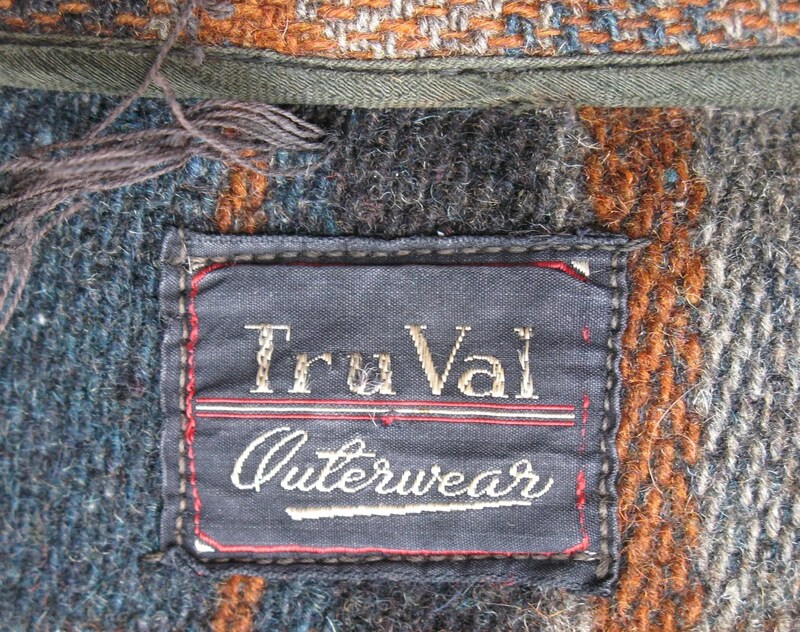 This vintage Mackinaw coat was made in the 1930s by Tru Val Outerwear. 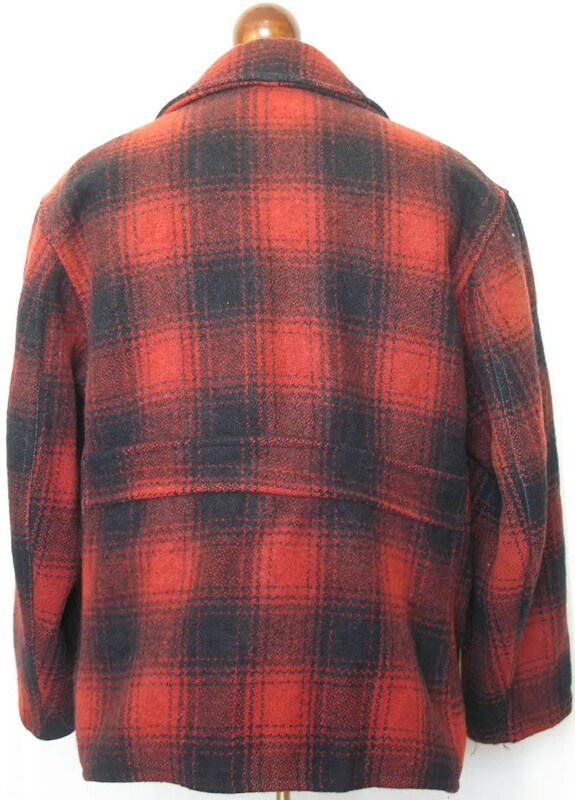 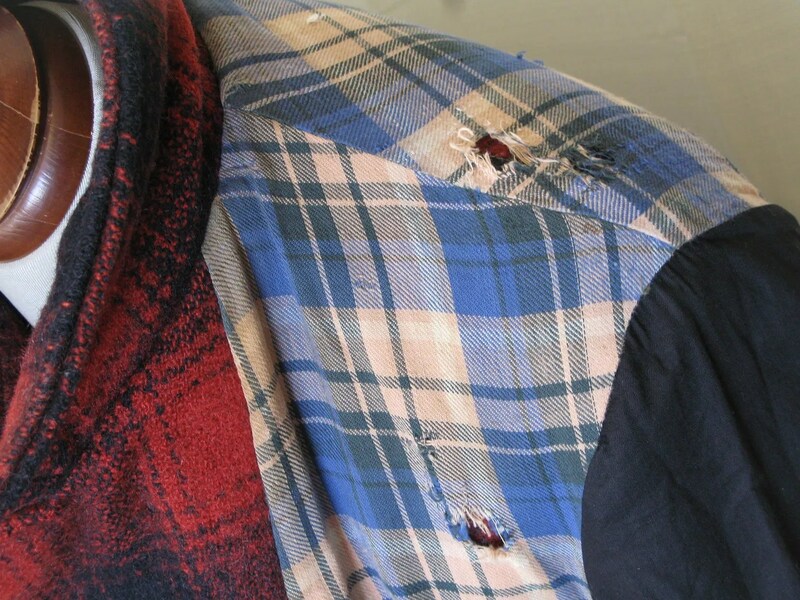 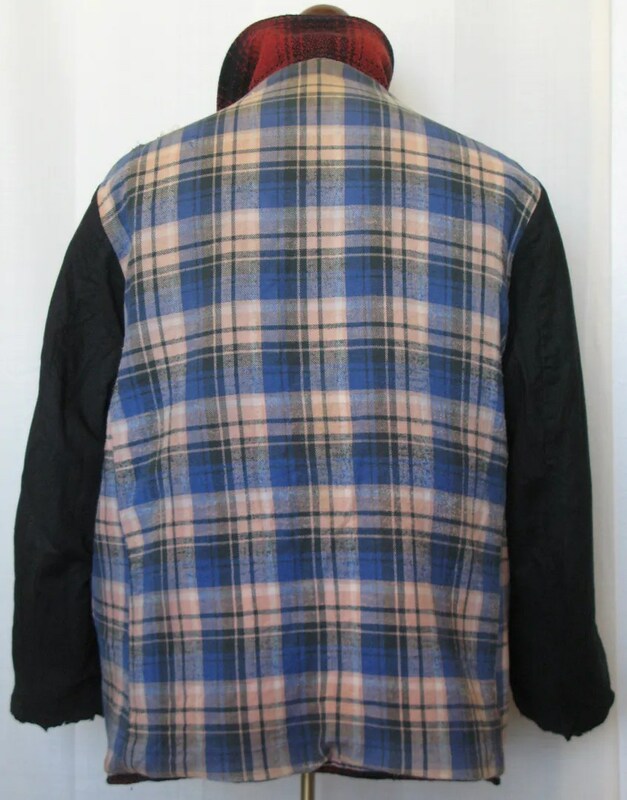 It is double breasted, made of a muted plaid mackinaw fabric. 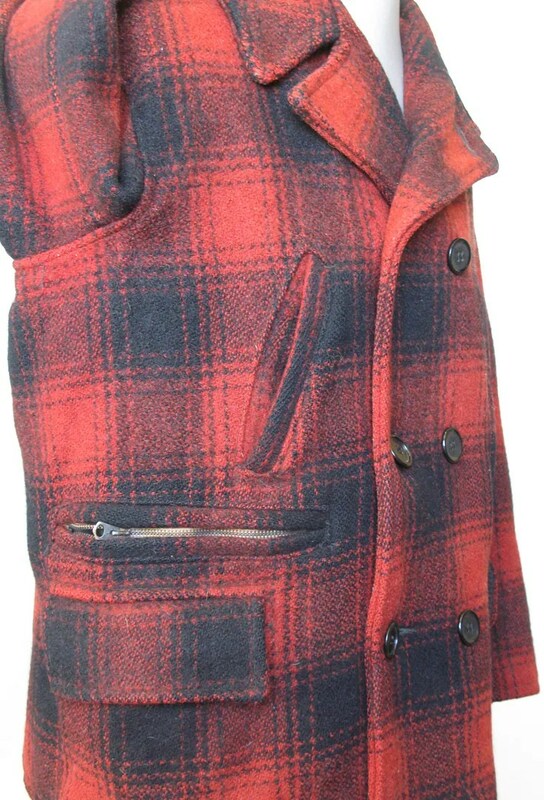 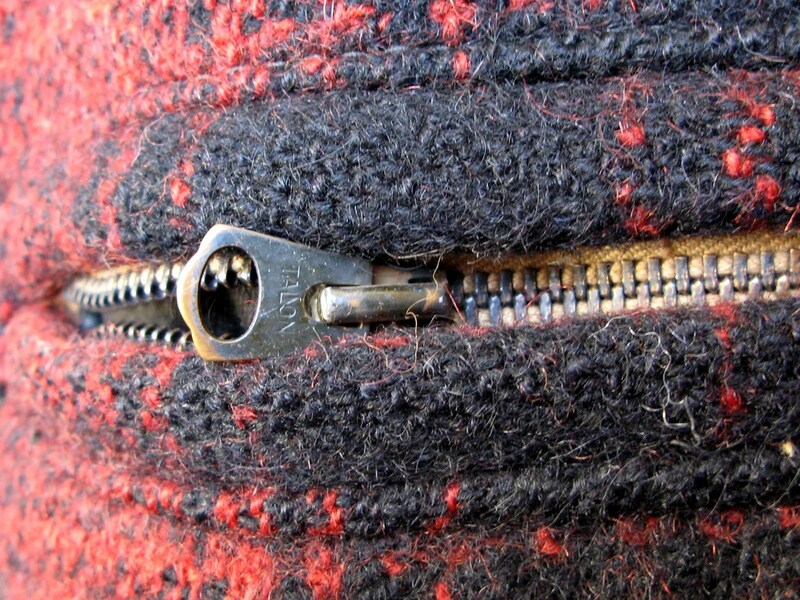 It has a belted back, with fancy pleats, handwarmer and flapped pockets. 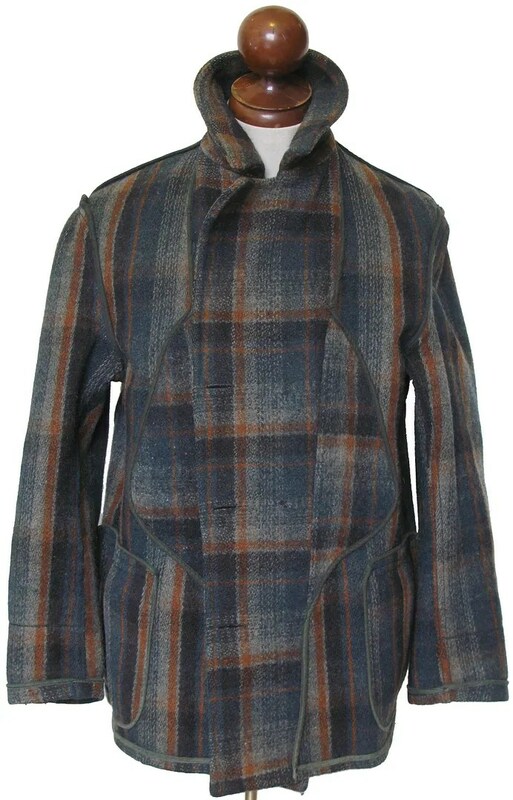 As is typical of these early mackinaw coats, it is unlined.